While non-thermal plasma aided water (NTP-AW) has been currently used as a novel therapeutic against wide array of diseases, it remains unknown on therapeutic effect against atopic dermatitis (AD). 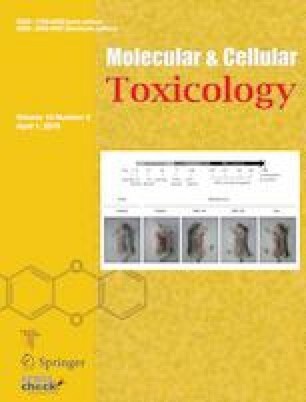 To answer this, we evaluated the effect of NTP-AW on the regulation of immune and antioxidant markers in dinitrochlorobenzene (DNCB)-induced AD in hairless mice. The skin damage in mice was induced by 1% DNCB for the first wk and 0.5% every alternate day for 3 wks followed by 4 wks NTP-AW treatment through spraying and bathing method. Treatment with NTP-AW reduced the severity of dermatitis symptoms and skin scratching behavior. In line, immunological profiling showed the improved parameters such as decrease in the number of neutrophils, lymphocyte, eosinophil as well as Th2-mediated IgE overproduction, and the reduced level of pro-inflammatory cytokine such as interleukin (IL)-1β, and tumor necrosis factor (TNF)-α. Redox profiling showed that NTP-AW reduced the production of total reactive oxygen species (ROS), and enhanced the antioxidant enzyme activity. Collectively, this study clearly indicates the therapeutic effect of NTP-AW on DNCB-induced AD in hairless mice via immuno-redox regulation, clinically implying that NTP-AW treatment might be a safe and promising therapeutic candidate against AD.